KIXX Martial Arts Club Technical Committee member. I started training in 1979 aged 18. I studied Chang Chuen Shu (Northern Shaolin Longfist) under Shifu Chris Ellerker. I was particularly interested in free fighting and martial applications something that Shifu Chris Ellerker was very good at. This made him an ideal instructor for me. After 12 years of learning Northern Shaolin Longfist and becoming a black belt, Chris taught me Southern Shaolin Luohan Fist for 10 years. 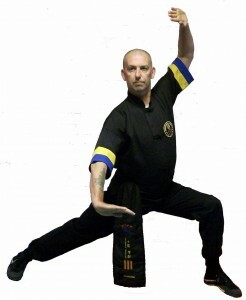 A style, which I started to specialise in, he also taught me Tai Chi and Chi Gong. I cannot thank him enough for his time and knowledge. He also created other opportunities for me to train with other great master’s, e.g. I feel privileged and honoured to have been taught by all the above-mentioned masters. In 1985 I met Sensei Ray Fuller socially and I told him that I also practiced martial arts we talked all evening on the subject and he invited me to his class which I agreed to attend, there I met Nigel Gilham soon after this Nigel attended Chris Ellerker’s Chang Chuen Shu class where I trained at the time, this was the start of a great friendship, Nigel and I train together regularly both with the intention of improving our skills.